Qatar Executive’s service portfolio has received a significant boost, as Qatar Airways’ private jet division is rapidly developing and expanding its aircraft management business from its Doha-hub. In response to great demand from Qatari customers who have acquired their own business aircraft, Qatar Executive has seen a substantial growth in aircraft management agreements and added three owned jets to its fleet over the past 18 months. The service Qatar Executive provides aircraft owners with is tailored to each individual’s requirements, but generally includes taking care of the entire flight operation, trip planning, and the allocation of highly experienced pilots and flight attendants, right up to the organisation of catering and all ground arrangements including fueling, hangar parking and cleaning of the aircraft in Doha and worldwide. Aircraft owners benefit from Qatar Executive’s in-house competencies such as the skilled and experienced aircraft maintenance team, which ensures that all maintenance work and operations are performed to the highest standards in compliance with a number of the world’s leading regulatory authorities. Qatar Airways Group Chief Executive His Excellency Mr Akbar Al Baker, who also heads up the airline’s business jet division, said: “Our private jet division is an integral part of the Qatar Airways group and has developed into a world-class corporate aviation operation since its start in 2009. With Qatar Executive being part of the world renowned award-winning Qatar Airways’ group, aircraft owners can be assured of receiving the highest levels of service in terms of quality, comfort and expertise and also take advantage of the airline’s global network and combined procurement power for a range of services required, when operating an aircraft. Another exciting service aspect offered by Qatar Executive is that aircraft owners can request for their jet to be rented to third parties when it is not in use and thereby generate revenue to offset the costs of ownership. In such cases, Qatar Executive will provide all the necessary guidance and work closely with the aircraft owners to develop a custom-tailored charter programme, which includes monthly financial and operational reports. Qatar Executive currently operates a long-range fleet of eight modern Bombardier aircraft including three Challenger 605s, four Global 5000s and a Global XRS with a two cabin configuration and a capacity for up to 13 passengers. In addition, Qatar Executive received a 40-seat Airbus A319 All-Premium Class aircraft in February, which is also available for worldwide charter for larger groups. 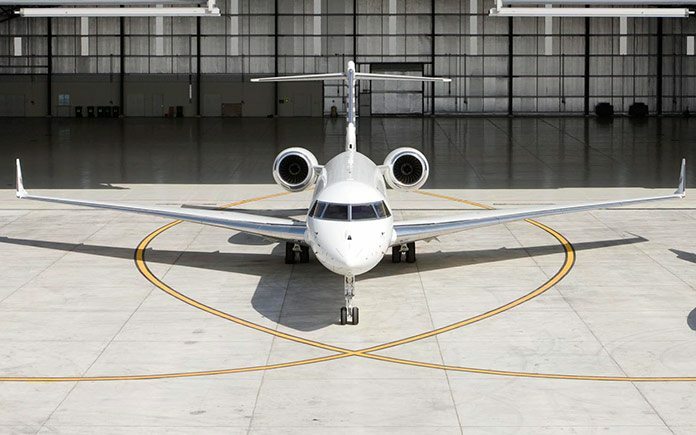 The fleet size is also set to increase, as Qatar Executive recently announced the purchase of up 30 aircraft from Gulfstream Aerospace Corp, including firm orders and options of a combination of Gulfstream’s new wide-cabin aircraft, the G500 and G600, and the flagship G650ER. The first Gulfstream G650ER aircraft is expected to join Qatar Executive’s fleet in the last quarter of 2015. Qatar Airways first announced at the Paris Air Show in 2009 the formation of a corporate jet subsidiary – Qatar Executive – as part of the airline’s ongoing robust global growth strategy, and continued commitment to the Middle East and global business travel community. Headquartered at Hamad International Airport, luxury jet services are available for worldwide charter on board the operator’s wholly-owned all-Bombardier fleet. The fleet comprises four Global 5000s, one Global XRS and three Challenger 605s. In May 2015, Qatar Executive announced the purchase of up to 30 aircraft from Gulfstream Aerospace Corp, including firm orders and options that are a combination of both of Gulfstream’s new wide-cabin aircraft, the G500 and G600, and the flagship G650ER. Qatar Executive’s service portfolio includes Aircraft management, Airliner Charter, Maintenance and FBO services.